A Kodak circular snapshot photograph of a knife grinder pushing his wooden cart, taken by an unknown photographer, c. 1890. The man's name 'Ambrose Harris' is painted on the front of his cart. 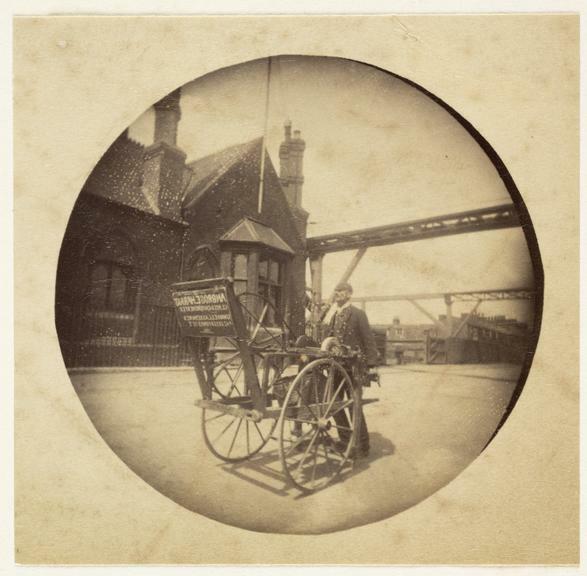 A Kodak circular snapshot photograph of a knife grinder pushing his wooden cart, taken by an unknown photographer, c. 1890. The man's name 'Ambrose Harris' is painted on the front of his cart.